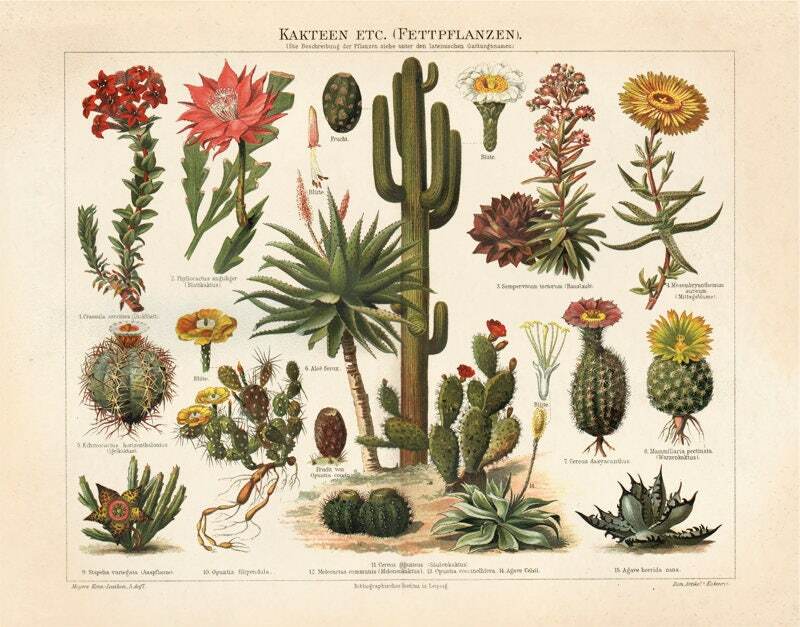 Vintage Botanical Reproduction: This print features a reproduction of a vintage science plate. 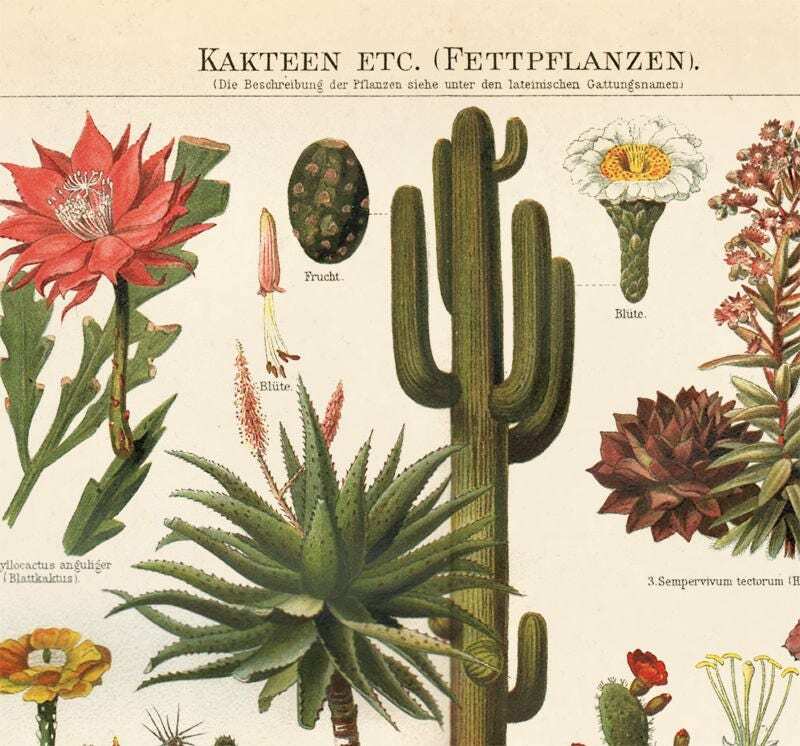 The art is from Meyers Konversations-Lexikon or Meyers Lexikon, a major encyclopedia in the German language that existed in various editions, and by several titles, from 1839 to 1984. The pages have been scanned in, cropped, and retouched to ensure the highest quality reproduction possible.